If you’re not yet familiar with Campaign Budget Optimization, now is the time. Facebook recently rolled out this new ad feature and has plans for it to become a requirement for all advertisers later this year. Today, Andrew goes in-depth with everything you need to know about Campaign Budget Optimization (CBO). We discuss what CBO is all about: the framework for setting it up, how to approach your bids, and other killer tips that will make sure you’re set up for success when you start testing it out. 3:57 The new feature for your Facebook Ad campaigns: Campaign Budget Optimization. 5:15 What is CBO and how it’s different from the traditional model. 8:27 How to set up the ideal CBO campaign. 10:57 Determining your audiences within the CBO. 13:38 Strategies that are staying the same with CBO. 14:36 Recommended bidding for CBO. 15:37 How CBO works within prospecting and remarketing. 17:35 Reasons why CBO scales well. 19:39 What are minimum and maximum spends within CBO and how to manage them. 22:22 Killer tips from Andrew to get the most out of CBO. If you’ve been a podcast listener for a while and you’ve yet to join the Brand Growth Experts Membership, now is the time to do it. It’s my online coaching community, and it’s an incredible resource for you. We’ve got about 120 members, all ecommerce business owners and marketers. And in that community, I work with you one on one to help scale up your business. That could be scaling up advertising, hiring a team, or diving into marketing strategy. We go really in depth every single month on topics that we also talk about on the podcast. So, if you’ve enjoyed the podcast, you’re going to love the Brand Growth Experts Membership. Head over to brandgrowthexperts.com for more information. Can’t wait to see you guys on the inside. Andrew Foxwell: And I'm Andrew Foxwell. You know, I've been hearing some really, really good feedback from people specifically in Europe giving us feedback on the podcast. So that's been pretty cool got a nice note from a couple of gents in Denmark and this is actually the third or fourth person I've heard from Denmark this year saying that the episode that we did with Bryan Anthonys where we interviewed Ed and Amber, gave them a ton of inspiration and the Facebook audit checklist, they used to completely overhaul their accounts. Got a followup email a few weeks later telling me that some of the ideas I gave them weren't that good. So I think what's important to mention here is we're giving good feedback right? From people that were giving advice. We're out there, but sometimes stuff can go wrong and can change. And if you have ideas or you're seeing something different, always let me know. Because we don't want to be out here just espousing things. These are things that are working with me. But if you're in another country, sometimes these things don't work. Austin Brawner: And if it's a different business, sometimes it doesn't work as well. That's another thing. Oftentimes I just, whenever I do my workshops, my Intensives, we go deep in, talk about what different businesses are doing and we have a mastermind session where everyone will kind of talk about what their business is built on and everybody in the room, they're all doing different things and they've grown really successful businesses in different ways. And sometimes one thing works for one business sometimes it works. You could try it on a different business falls flat. And so it's, that's one thing, it's really exciting and it separates, I think, like good marketers from not so good marketers or inexperienced marketers is the ability to discern what might work for a business and what might not work. Andrew Foxwell: Absolutely. I totally agree. Yeah. So please let us know and tell everybody about us too tell us about the podcast. Make sure to spread that out, spread the news, you know, the good news if you enjoy it. Austin Brawner: Yeah. Share an episode. That's the best courtesy, the best compliment you can give us as to share an episode with some friends. And today we are doing kind of a special deep dive episode because there are some changes coming to Facebook and we want to be the first to walk you guys through what's happening. So Andrew, why don't you walk through what is happening over there? Andrew Foxwell: Okay. So there's this new thing that's called campaign budget optimization. So it's campaign budget optimization or what we call CBO is a new feature for your Facebook ad campaigns. Many of you no doubt have already seen this, many of you may be testing it. But it's important that we get into the weeds a little bit on what this is. Cause we're talking about it because generally it's performing pretty well and you should absolutely try it. If you've not. It's also likely going to become the default in September. Facebook has put out notices about this saying, hey, we're gonna make this the default in September. I have heard from Facebook that it's not 100% that is going to be all in September. So we'll see, but for sure by Q4 you will be dealing within CBO or campaign budget optimization. So you should absolutely become familiar with it. So what to expect today is basically the framework for setting up CBO, how to use it, how to make sure that when you are launching tests using CBO, it's absolutely the right way and it's set up for success as much as you possibly can. Austin Brawner: So yeah, so we're going to run through this today. I'm going to be walking through this asking questions and Andrew's going to take us through. Starting off with the first question, which is what the heck is campaign budget optimization? Andrew Foxwell: Totally so what even is it? So campaign budget optimization is the ability for you to set a budget at the campaign level instead of at the ad set level. So traditionally the old model is you would have a campaign, let's say a prospecting campaign, and you would have under that three or four ad sets of different, or more, many times, of different prospecting audiences and you'd have them in there and each ad set would have its own budget. So let's say there's four prospecting campaigns in there and they were $25 a piece. Now the budget is set at the campaign level with CBO. And so the budget per day would be $100 a day. And what Facebook does is it proportionally spends the budget, that $100 a day, based on the performance of the ad sets within that campaign. So one of them or two of them may take the majority of the spend that day. And the reason for this is, traditionally, we as Facebook advertisers, what we've done is we've gone and manually optimized at the ad set level, right? We go in and we are adjusting things up or down based on what we're seeing. And this removes some of that. So this is basically Facebook saying, hey, this is looking pretty good we're going to give this one more budget over this one. And it generally makes things a little bit more efficient and can make things a little bit more stable for your campaigns. So that's generally what campaign budget optimization is. Austin Brawner: So if we're going to break it down, what is the big difference besides the fact that you're moving the budget from ad set to campaign level? Is it anything different? Andrew Foxwell: Yeah there are a couple of other different things. One is you have to do minimum spends and we'll talk about that a little bit later in the episode, but you can do, you don't have to do them. You can set at the ad set level min and max per ad set. So you can say, I want to make sure that this spends at least this, but not over this amount. So you can kind of control it that way like you would a normal budget, but that's another big difference. The other big difference is that whenever Facebook comes out with this stuff, it's kind of a mixed bag. Like right now I would say it's 50-50, whether it's working really well or not. So what makes it different is sometimes you do still have to monitor it because, it's going to be spending things sometimes in the lowest performing ad set just because that audience might be bigger, one audience in an ad set might be bigger. So that's where we get into the ideal setup of a campaign budget optimization campaign. Austin Brawner: Yeah, let's go into that because there's so much talk about the ideal set up in Facebook. For a long time, it was one ad, one ad set, all of these different like "rules." What's the ideal campaign budget optimization set up right now according to Andrew Foxwell? Andrew Foxwell: Absolutely. So the first thing within that setup is thinking about the number of ads or audiences, ad sets that you want. So if you think about, all right, look, Andrew, I want to try to test some lookalikes against each other within this CBO. And I'm going to start saying CBO cause it'll make things a lot easier. Like I said, so CBO you have let's say a 1% purchase lookalike, you have a 1% add to cart lookalike, you have an interest that you want to test and then another interest. So you have four ad sets. And then you take the general rule where you want that ad set budget to be equal with your CPA because you want to try to get at least one conversion through per day. That's the goal of what you're looking for. And so you take the number of ad sets, so there's four, and let's take in this example, and then you times it by the CPA. Let's say it's $100 CPA that you're going for, then your budget for that particular campaign budget optimization campaign is going to be $400. Does that make sense? Cause you want to make sure that every ad set can have at least one conversion go through. So you have to do the budget exercise first. Austin Brawner: That exercise would be based on one day, $400 per day and then typically how long would you keep that running? Andrew Foxwell: Yeah. So the other thing with which we'll talk about with CBO that's kind of a pro tip is you have to be patient with these things because Facebook can take based off of how your bidding, if you're bidding in a seven day click, one day view window, Facebook can take up to seven days to really optimize this thing. So then you start to think about that's your per day. So if it's going to run over seven days and you're gonna spend $700, we're going to spend 400 times seven. Austin Brawner: $2,800 per week would be what you'd expect to spend. Andrew Foxwell: Exactly. So that's the thing that you want to be careful, and thinking about it because these things can obviously add up really quickly and they are going to be more money and they feel like they're more money, but they're not. So that's, so in terms of your ideal setup is first to consider the budgets that you're comfortable with. And then think about kind of how many audiences you want to try within that. Within each of that, then you want to think about, you want to do no more than five, I would say at a max 10, ad sets within each CBO, most people are not going to be doing more than 10 or even close to 10. Most podcasts listeners are probably in the three to five range. I've been doing four as a number of luck in terms of ad sets and when I say those ad sets, what I mean is this separation by the audience. So you're separating the audience types out. You have to be very conscious of that you're not doing a huge audience versus a small audience and you're also not doing things like putting prospecting and remarketing in the same ad set, which we're going to get to are in the same CBO which we're going to. So you want to try to do that. So let's break this down a little bit again. So your ideal setup is you sit down, you say, what are the audiences I want to test against each other within the CBO? And you want to try to think less about consolidation, which we've talked about on this podcast before, and more around what are the ways that I can try to test these audiences against one another. You don't necessarily need to be excluding them either because Facebook will look at those audiences and say, okay, they don't need to be excluded. And those that he's targeting these audiences, so we don't need to try to exclude them from one another. So, but you will want to, of course, exclude your purchasers and page view if it's a prospecting ad set. So you look at it, you say, I want to test these audiences against each other. What's common is people will have a lookalike CBO and sometimes now they'll have an interest-based CBO. So instead of grouping those interests together, they'll separate them out. So instead of doing your competitors all in one ad set, you can separate them by the ad set and then put that into a CBO and let Facebook decide and learn. Now once you have that setup, the other thing that I like to do is social proof those creatives or utilize the same creative across all of the ad sets and do no more than two to three creatives. So this is the ideal setup at this point, no more than four ad sets to five ad sets if you can, kind of in that ideal range within a CBO. You can go up to 10 but there are rules with that as well, which we'll talk about. But really want to consider your budget. Consider what are the audiences you want to test against each other, build out two to three creatives and then make sure that it's the same creative running across each of those particular ad sets, i.e audiences. Austin Brawner: And are you still continuing to do some of the same strategies you've talked about in the past? Like social proofing? Andrew Foxwell: Yes, absolutely. So your social proofing them across the ad sets who utilizing the same thing. Utilizing the same ads because what you're trying to learn is you're trying to learn the audience, you're trying to learn which audience responds to these ads the best and you're not, the audiences are close enough that they don't necessarily need to be utilizing different creatives. Now if you have a lookalike of, you're doing a lookalike of a page view versus a lookalike of a person to a specific product page. That may be something you would do different creative with. But in this case, I'm not suggesting you do that. You do the types of audiences that are similar enough so that you can utilize social proofing utilizing only two to three creatives across that. Austin Brawner: Sure. It makes sense. How are you currently bidding and what do you recommend from what you've seen so far as the best way to bid? Andrew Foxwell: Yeah, so bidding with this is really interesting and there has been a lot of discussion about manual bidding and utilizing bid caps, which would mean kind of putting in a little number on that bidding. Once you scroll down at the ad set, putting in a number there. If your CPA is $50 doing a $55 a bid, I'm trying to trick the auction. I don't think you need to do any of that with CBOs, so you can certainly customize placements which is not related to bidding but important. You could say, look, I only want this to run on the Facebook and Instagram newsfeed, but on the bid auto bidding, it is absolutely the best at this point in time. If you've seen that most of your people convert within a one-day click window or a seven-day click, then you can change that. But most people are using a seven-day click, one day view, default bid as it relates to campaign budget optimization right now. 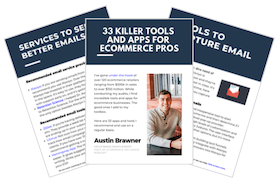 Austin Brawner: Are you using it mostly within prospecting or remarketing? Andrew Foxwell: Yeah. Most people are using this in prospecting because it scales really well. So this kind of goes back a little bit in the prospecting make sure that you're being patient with it, make sure that you're giving it a full seven days if you can. And make sure that you're also stopping the audiences that aren't working and kind of, you might start with four like we talked about that maybe only two are going to be working the best so you can shut the other two off and continue to spend that four force that spent into those too. So within prospecting, it works really well. Within remarketing, it's not as good right now in my opinion because it's harder to the audience types are different and an add to cart is different than a 30 day look back or an engage your custom audience. So you want to try to 1) make sure you're not putting remarketing and a prospecting audience in the same campaign. But you also want to make sure that you are not trying to combine too much of it into remarketing at this point in time. So prospecting is really where it's working and including, I've seen it work well with like a broad match dynamic product ad. So if the account has enough data that can be a really good option where utilizing broad match dynamic product ads layered with an interest in one thing, the next ad set is broad match dynamic product ad layered with an interest in another thing and so on and so forth. So you are utilizing it mostly in prospecting. So that's my long-winded answer of which, where they're really going best but you have to be careful, you have to kind of think about the DNA of, of how it's optimizing to and within remarketing you do want to try to force spend and a lot of these remarketing audiences because if you give Facebook the choice, it's not going to work as well. Austin Brawner: And when you say it scales really well, is one of the reasons that it scales really well because let's say you start, like you mentioned, you start with four ad sets and as you realize two of them don't work very well, you can turn those off and you effectively double spend of the other two? Andrew Foxwell: That's exactly right. That's one of the reasons it works well. The other reason that it works well is one of the things we as advertisers didn't know is there's different behaviors of DAU, Daily Active Users, DAU's and audiences based within certain days. I mean some audiences work well on Sundays, some work well on Sundays or on Mondays and some work well on Thursdays, like you just never really know. And so what this can do is it can automatically redistribute the spend based on where there's the most daily active users that day that are responding to the ad. Andrew Foxwell: That's one of the reasons it scales. I mean, I've heard of people even doing things with CBOs like a doubling spend, like within one day. It's doing well, double it. It's doing well, double it again. And I've heard that actually doing well if the audience is big enough. So you know, I'm not saying, I'm not suggesting you do that, but that's not something you would have normally done with an ad set. Right. Austin Brawner: Breaking news here, double your spend every day. Quote Andrew Foxwell. Andrew Foxwell: Yeah, exactly. Yeah. Breaking News, triple it and make millions. The Fox. Signed the Fox method is.... Yeah, no, it's that's not something you do as, you know, mostly conservative is my thinking on this. But it's interesting, I've also heard of people doing things like, let's say an ad set was doing well or a CBO is doing well and then it kind of started to show fatigue, stopping it, putting in new creative, starting it again at a higher budget. Excuse me. Duplicating it. Starting it again at a higher budget. So it's technically a new CBO with the same thing. Austin Brawner: What about minimum spends per ad set? If that's something you're thinking about, how do you think about that? Andrew Foxwell: Yeah. So these minimum spends, this is an interesting one. You can't get lazy with these things. Austin Brawner: What does that mean actually, first of all? Andrew Foxwell: Get totally, totally. So first of all, the thing that you can do is you can set at the ad set level, minimum and maximum spends. So you can set, basically, if you have let's say that CBO budget is $400 we talked about, you can look in those four ad sets and you can say, I want to minimum spend at least $50 in this ad set and I want to maximum spend $200. And so you're basically telling Facebook how low and how high it can go. And so that's basically what these minimum and maximum spends are. They're controlled within the ad set itself and I dunno, I'd say first of all, when you launch one of these things, when you launch a CBO, if you've never done it, don't worry about messing with the minimum and maximum spend because it's going to confuse you. What you want to try to do though is not get lazy with it over time. If you see that an audience is doing really well and you want to ... Let's say there's two audiences doing really well and Facebook starts to choose one all the time that it's showing. But the other one you don't feel like is getting its fair weight, you can set a minimum on that to make sure that Facebook has been spending against that. So that's basically what you're trying to do and it's at the budget and schedule section of that particular ad set. So that's kind of how you want to think about going about it. Austin Brawner: It's kind of effectively allowing you to force spend to some campaigns. At least on the remarketing side. It would seem that would be a way for you to force spend is some smaller audiences that might not get the love that some of the other audiences would get. Andrew Foxwell: Yeah, absolutely. Absolutely. And so this is one of those things where when CBO becomes a requirement, but let's hope it doesn't become a full requirement in September, but it becomes inevitably what we're doing and we have to do this in remarketing, minimum and maximum spends are going to become very, very important. So that's basically what you have there. Now I'm excited about the next section cause I think we were talking about killer tips. 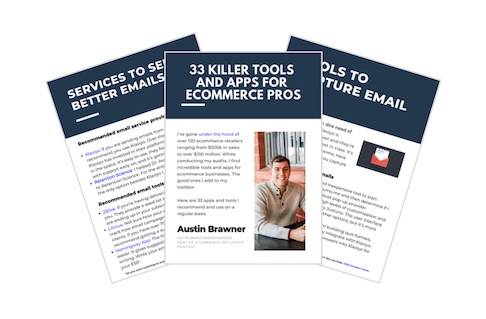 Austin Brawner: We're talking about some serious killer tips here. Things you picked up. What do you got for us? What do you got? What's the word on the street right now? What's working? Andrew Foxwell: Yeah. So the killer tips as it relates to these things is, is a couple of different ones that I really like. One is cutting the ad sets down or turning the ad sets off or the audiences in this case that aren't working quickly. So giving it, you know, you want to let the CBO run for seven days. But if you see after the first 48 hours that let's say a couple of the audiences within your CBO aren't working, turn them off. That's totally a reasonable thing to do. The people that I know that have used 10 ad sets within, or 10 different audiences within a particular CBO, what they're doing is they're cutting that down after 48 to 72 hours. And inevitably they're left with like three audiences that are doing really well at that time. Right? So cutting things down quickly that aren't working. Austin Brawner: This is the Fox method. And it's your lucky day because I'm doing a $50,000 per person mastermind in Morocco. Next, no, I'm just kidding. Austin Brawner: Tell me more about I want more killer tips. It's not enough. What else you got? Andrew Foxwell: Killer tips. All right, so that's one. The other one that I heard that is interesting that I definitely have been trying is turning off the creative, not the audience. So the other thing you could do is instead of, let's say you know that that audience is like done well before and you're like, this is weird, it's not working in this CBO. You can turn off and start new creative in the whole CBO and see if that helps to change it. Or you can try new creative just to that particular ad set and see how that affects the CBO. So that's an interesting one that I've actually used where Facebook, it's gone through and I've done the cutting down and I've got down to two audiences and I'm like, I don't understand, this was a good lookalike before. I've stopped that whole CBO started it, you can do it a lot of different ways. But I've started it brand new cause I like to start things fresh, and with that other audience that didn't work as well before with some new creative. And so now you have a couple of different sets of creative running and that's done. That's done really, really well. So some of it's like just testing and trying and not trying to give up on that audience right out of the gate. Which goes into the other killer tip of update that creative regularly. Right. Watch as you're scaling. It still functions just like a Facebook ad set would previously, I mean you have to be considerate of the first time impression ratio under delivery insights, which is you've not, check that out there's a whole podcast on that we can link in the show notes. And being conscious of the fact that you're will wear audiences out, so being noticeable that you do want to introduce new creative. Austin Brawner: So speaking on that today, today actually I was doing an audit with a new Brand Guild client and we are going through Facebook ads and he was going through and showing me what his agency was doing and I was like, hey, bring out the engagement the dropdown, select engagement, let's look at the view. And we look at the frequency on his dynamic product ad. It was 28, I think over the last 14 days. Austin Brawner: Conversion machine, yeah. Almost three times the price of all the other dynamic product ads he had. And so we screenshot it and we said, hey, what is going on? Why are people seeing these two times? It was crazy. So it was like someone just set it and forget it. Andrew Foxwell: Yeah. Well, that's the thing dynamic product ads always lead you astray, right? Like it's hard because they work well and so you think I'll just leave it. That's actually the worst thing you can do. So that's the thing, I think I killed it and another killer tip as it relates to this, and just actually before I go on to that, you can utilize CBO with dynamic product ads too. I mean you can do a DPA CBO and you can kind of separate out time windows and see how that works. I wouldn't, it's not something I would suggest, but it may do well I don't know. I mean this is something that we're going to be, like I said, we're going to be forced into, so it's worth giving it a shot because you see how it's working. My final killer tip here honestly, is if it's going along and things are you're like, this isn't working that well. Be patient, be patient you can try to make some things of cutting things down quickly but also just don't turn off the whole CBO, be patient with it. There've been a lot of tests that have been run, that I've run personally, that colleagues of mine have run, where you're pitting the same audiences with the same budgets, with the same creatives in CBO versus non-CBO. And in every single case that I've seen it, CBO looks worse in the first two days and then it comes back. So, and to beat it and be able to scale. Austin Brawner: It's like rocky. Austin Brawner: Take shots, take some shots, but it's got heart, comes back wins the battle. Hey man, this has been a lot of fun going through this. I have learned a lot because just like everybody, I'm in the same boat. Yeah. We're all learning about campaign budget optimization and making changes. So I appreciate you walking us through. If you guys enjoyed this episode, one thing that'd be incredible it would be to go to head over to iTunes and to leave us a review. If you've been a longtime listener and you have not left a review, it really helps us try to grow the podcast. We've been growing month over month and really it comes down to the fact that you guys have written reviews and shared it. So we appreciate you listening, appreciate your time and let us know if you have any questions that you can always email podcast@ecommerceinfluence.com and give us some feedback. Austin Brawner: Hey guys, it's Austin again. And if you've been listening for a while and you've yet to join the brand growth experts membership, now is the time to do it. It is an incredible resource for you. It's my online coaching community. It's really the engine that drives the Ecommerce Influence podcast. We've got about 115 members, all ecommerce, business owners and ecommerce marketers, and in that community, I work with you guys one on one to help scale up your business. That can be scaling up advertising, hiring a team diving into marketing strategy. So it's a really, really good resource and we go really in depth every single month on topics that we also talk about on the podcast. So if you've enjoyed the podcast it's something you get some value out of, you're going to love the brand growth I first membership, head over to brandgrowthexperts.com and you can learn some more information. Can't wait to see you guys on the inside.